January 2011 Sales ~ Philippine Freebies, Promos, Contests and MORE! Those of you who are still not over on holiday shopping should check out these multitude of sales happening this January 2011. Clothing companies such as Marks & Spencer, Topshop, Plains & Prints, Penshoppe, Bayo, Bum Equipment, Big & Small Co and Oakley and Reef are all having big sales. It's up to you to search through items on sale. 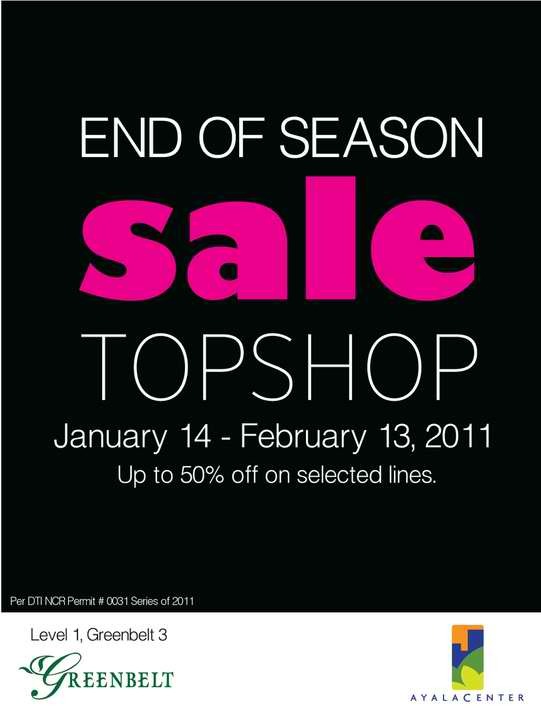 And if that's not enough, there are also mall sales at Robinsons Department store, Ayala Malls and Eastwood City.